Get your mates involved and pull off this Robbie Williams and Dizzee Rascal 'Goin' Crazy' look! 9. 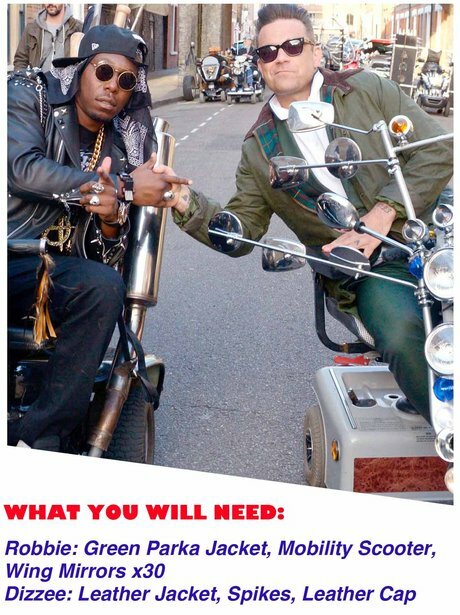 Get your mates involved and pull off this Robbie Williams and Dizzee Rascal 'Goin' Crazy' look!